The world is “Always-On” – is your content marketing strategy? Join Content Marketing Institute chief strategist Robert Rose for an exclusive Scribble Chat, where we’ll discuss how the content marketing approach in today’s “always-on” environment can help companies create more effective digital campaigns. Companies have been creating valuable, branded content for decades, but the real-time nature of content and conversation is new. Today's top opportunities come from digital content’s “Always-On” nature – and how marketers are leveraging their company’s expertise to have valuable conversations that drive sales and demonstrate thought leadership. We'll be getting underway with today's Scribble Chat shortly. You can join in on the webinar by playing the Google Hangout at the top of the page. If you have any questions, please hit "Comment Now" and ask away! While we wait to get started, here's some more about our guest, Robert Rose. 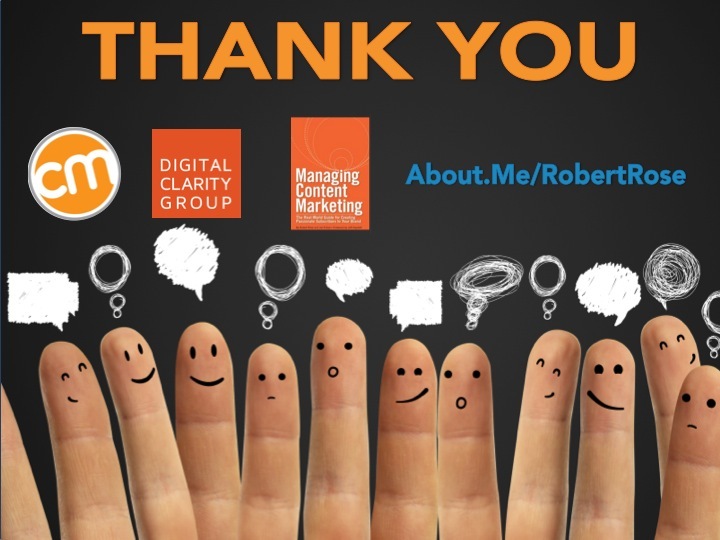 Robert Rose is a thought leader in the realms of content marketing, digital media and social web, with more than 15 years experience helping brands develop digital storytelling strategies. He’s worked with companies like AT&T, KPMG, Staples, Petco, Nickelodeon, NBC, and he is a featured writer for a number of magazines. He also penned “Managing Content Marketing,” which spent two weeks on Amazon.com’s Top Ten Marketing Books list. 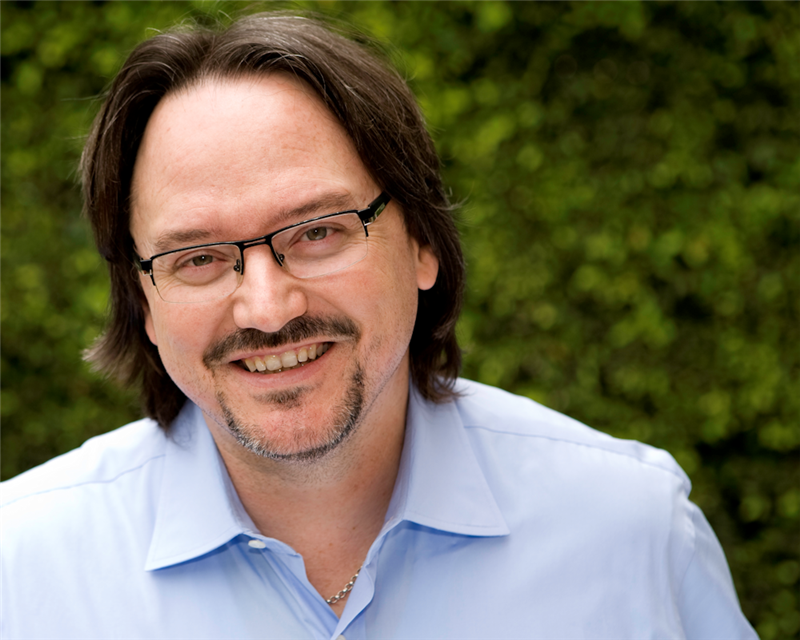 In addition to his work with the Content Marketing Institute, Rose is a fellow with Coburn Ventures. Rose’s webinar will address how to develop “Always-On” strategies and will include a Q&A session to help your brand determine best practices, how to effectively amplify your efforts and how to control and moderate your social strategies. And on today's moderator: ScribbleLive's Allendria Brunjes. Buyers and brands are conversing before these people even walk through the door. Always-on marketing is about transforming traditional marketing into real-time media organizations that have the ability to collaborate and converse with buyers in real time. 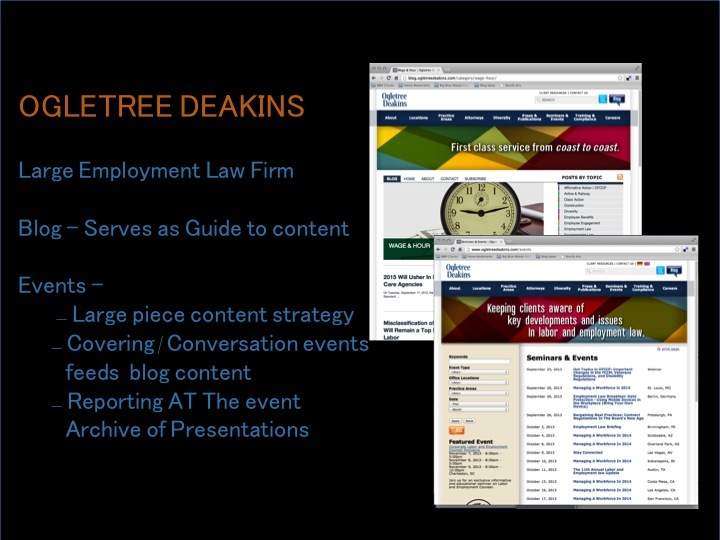 Lawyers love to talk -- they have the content. 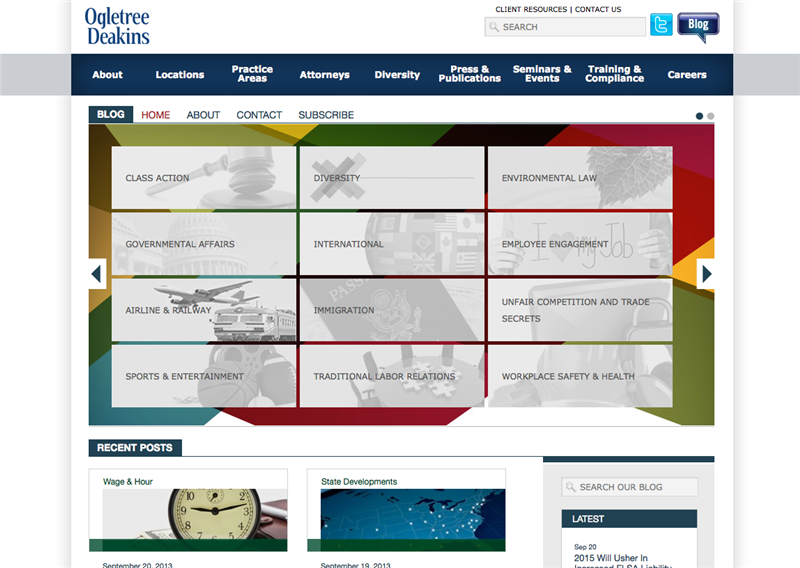 Their blog serves as a news way to bring people into deeper pieces of content. They also do an event for all their clients where they learn from thought leaders about what's going on. And then they also covered an event like it was any other event. Had reporters out interviewing, covering, etc. They had so much content in one week to last them an entire year. They send people out to stream the concert, shoot the bands, do interviews. 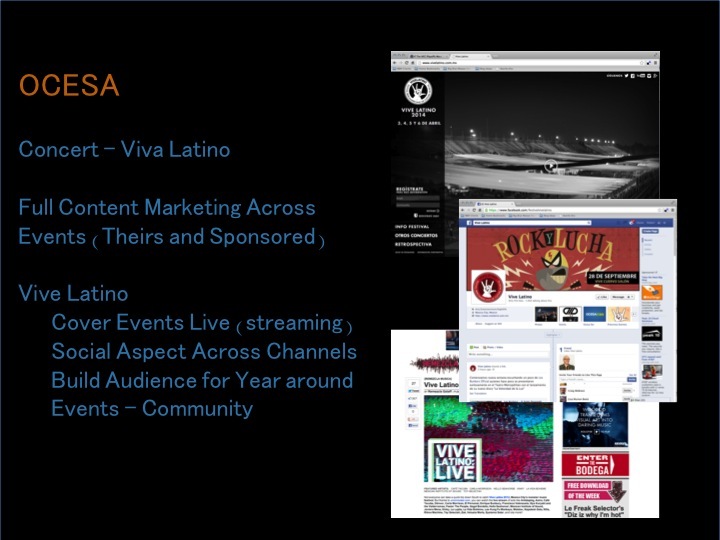 They've built a community around the Viva Latino brand during this event. Because they've built a community around this brand, they can build out mini-festivals that lead up to the Viva Latino festival. These days, the idea of always-on is the most interesting. Turning marketing into real-time news organization to drive a better marketing result over time. And Robert's presentation is over. The floor is open for questions. First a few from Allendria. Submit yours above. What makes for good real-time marketing content? It's understanding that persona of a customer -- understanding the mindset they're in. Where are they at in their buying journey? You want to be delivering relevant content to them based on that. Figure out where you need to educate, where you need to entertain, and when you can approach them for the sale. Next Q: How can I do what Red Bull did? In case you missed it last year, here's more on the Red Bull Stratos jump by Felix Baumgartner. And the whole event, in a mere 91 seconds. But on a smaller scale, perhaps. Well, Robert says, Red Bull understands their audience. You need to understand the persona you're trying to reach and what is in an event that will help a person understand the brand's promise to the greatest degree. We need to understand what our audience is passionate about and what our audience is passionate about. Q: How to approach it: Small and build up? Or start with a big splash? A: Start small. Lots of small steps. How do you control and moderate the conversation and engagement? A: One company started with the word orchestration. 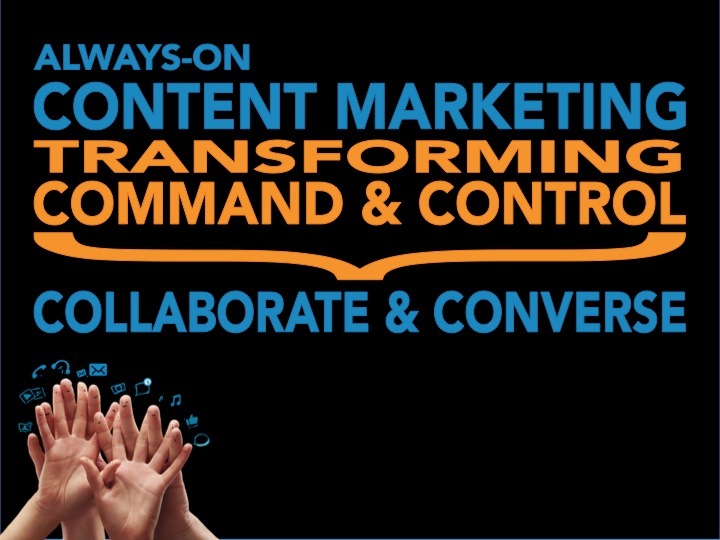 It's the end of "command and control" marketing. Orchestration means you're leading, you're helping to facilitate, but you're not necessarily the one making the music. That's a great way to think about it because as brands enter real-time conversations with users, if you try to control it, it's normally not a great outcome. But if you simply lead, the outcome is generally more positive. Once brands understand simply facilitating the conversation rather than controlling it, they should achieve greater results. You need to understand what it is you're trying to measure and what it is that you're trying to achieve. Your blog may exist to drive people into your site and turn them into leads. That's okay. But what we too often try to do is draw a line from content to sale. But each of those things serve a different purpose in a customer's journey. It's fine for a Facebook page to be focused on customer service and decrease the calls your customer service department gets. What's important is to measure all the way through. A content marketing strategy takes longer and costs more money. But overall, those customers are better. The ROI equation starts to make sense once you measure the customers you acquire through these tactics. Measuring all the way through to acquisition, retention, upsells, etc. is the way to do it. Not simply measuring to leads. Q: So how can you tell if your content marketing strategy is working? A: I disagree that you can't measure it for 8 or 9 or 10 months. You need to understand your sales cycle. You need to give it the amount of time it requires to measure through the tactics. You need to understand that you'll get KPIs along the way. You'll know that the blog is or is not successful if it is driving leads, driving people to your webinar series, driving people to wherever it is you're trying to get them to go. And now it is your turn! Here comes the audience questions. When you must maintain a conservative tone, how can you facilitate a conversation around your content (write copy) to engage an audience who speaks in a way that is outside that equity? You have to strike a balance. The brand itself may be very conservative and want to speak formally. That may be where you have to reside. I think that you want to start thinking about how your personas speak about your product or service and match that tone. Matching the tone is different than matching the way you speak. If you're speaking more formally than your persona, there's a mismatch. Robert recalls a company he worked for. It was a conservative organization, but the persona was more casual -- on social, they used the same language as its users. To talk to C-level people, they used the more formal language. When every brand uses content all the time, where does that leave marketers or content developers trying to get ahead? And how do you think it will affect consumers trying to navigate that inundated market place? We have lots of business processes around management. But we have few around the creation of content. GE is a great example. GE makes space -- literal space -- for creative sessions around the creation of content. This is alien to a lot of businesses. It's only the ability to create differentiated content that will allow you to rise above the noise. It's the ability to say "We're going to sit down for three hours a week, put the cell phones in a basket and make content that will capture our consumers' attention." Wholly dependent on the business. In some cases, they may not. But in some cases, they do. For example, Ocesa appeals to the kids but they need to appeal to the purchasers, as well. That is, the parents. So matching that persona, once again, is important. We've run out of time for questions. To those whose questions we did not get to—sorry! Robert is giving some closing remarks now. 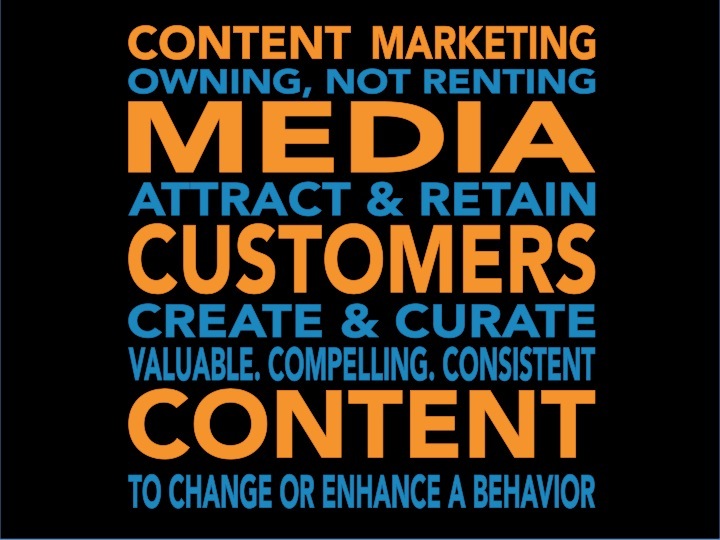 How do you start your content marketing strategy? If you don't have great personas built around the audiences you're trying to gather and engage with, that's a great place to start and figure out what your opportunities may be. Allendria hands it back over to Aleya. Aleya is discussing something we're all familiar with at ScribbleLive: The five rules of real-time engagement. Despite the speed of social and real-time engagement, the core elements of storytelling have not changed. A brand narrative, like all stories, begins with initial activity and then information slows which allows content contributors to deliver insights which will then trigger the next wave of activity. The building of the story is a collaborative and participative experience. Responding to the demands of an increasingly impatient audience, the "always on" nature of the web has transformed storytelling to reach wider audiences in real-time and on-demand. Today, everyone has a platform to speak from and can provide value-added perspectives to narratives. Creation, curation and syndication of rich content encourages audiences to engage. True engagement leads to longer time on page, recurring visits to your site, credibility for your brand and opportunities for monetization. Build a community and immerse them in the conversation. Use technology as a tool to bring your communities together on your owned asset (your own site) so that you can manage, moderate and measure your community engagement. Analyze, recalibrate and create a continuous cycle of engagement through your content marketing efforts. Aleya is also going to answer a quick question from a reader. For not-for-profit organizations, it's of utmost importance. To engage your community and create a content marketing strategy, it's important. If you'd like to have a conversation with us offline, email marketing@scribblelive.com. And that's a wrap! Thank you for joining us today, everyone. For any more information, please email our marketing team at the address listed below, or visit the ScribbleLive blog for content on all things real-time from our team here. Thanks for joining us! You can find a replay of the webinar above.